Larry Kelly has a full range of plumbing services, and service domestic as well as commercial customers. Plumbing Services Dublin provides emergency repairs to existing systems, plumbing systems refurbishments, and new plumbing systems installation. Larry Kelly provides emergency plumbing services on a 24/7/365 basis. You can call him during the day or night, in an ordinary season and on holidays. This also includes Christmas Day, New Years Eve and Day. 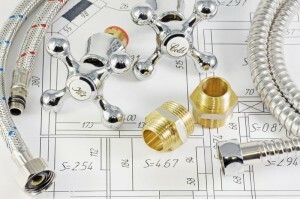 We truly offer 24-hour plumbing services. When you ring us in the middle of the night, you will talk with an experienced plumber not an answering machine, and we will not wait until morning to fix the problem. Larry Kelly Plumbing and Heating is fully insured and has a comprehensive insurance policy. It is vital, that you hire only insured experts to carry out any work, in a case an unintended damage or liability will occur. Since Larry Kelly is fully qualified and experienced, you can have peace of mind, that all work will be performed in a professional manner and to the highest standards.